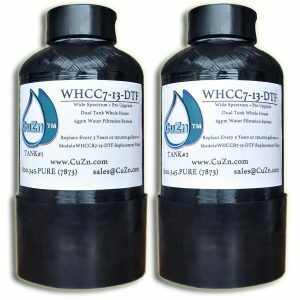 Cutting Edge, Dual Tank Design utilizing the latest advancements in purification media in a patented multi stage design. 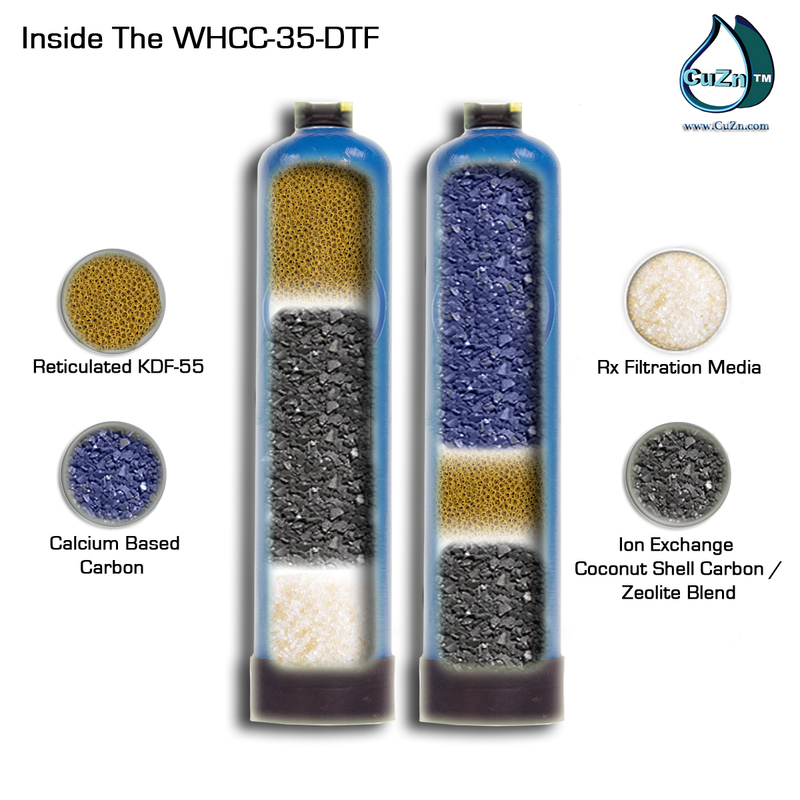 The WHCC-35-DTF Wide Spectrum + Pro Upgrade model’s process begins with a Micro Sediment Pre-Filter (model#FHBB-101) to remove any physical, undissolved particles out of the water (even though your water runs clear, you will be amazed by how much dirt & grime this filter captures). 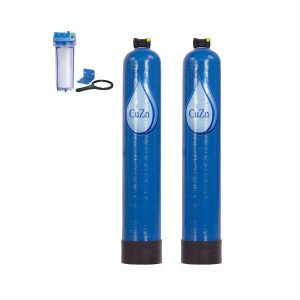 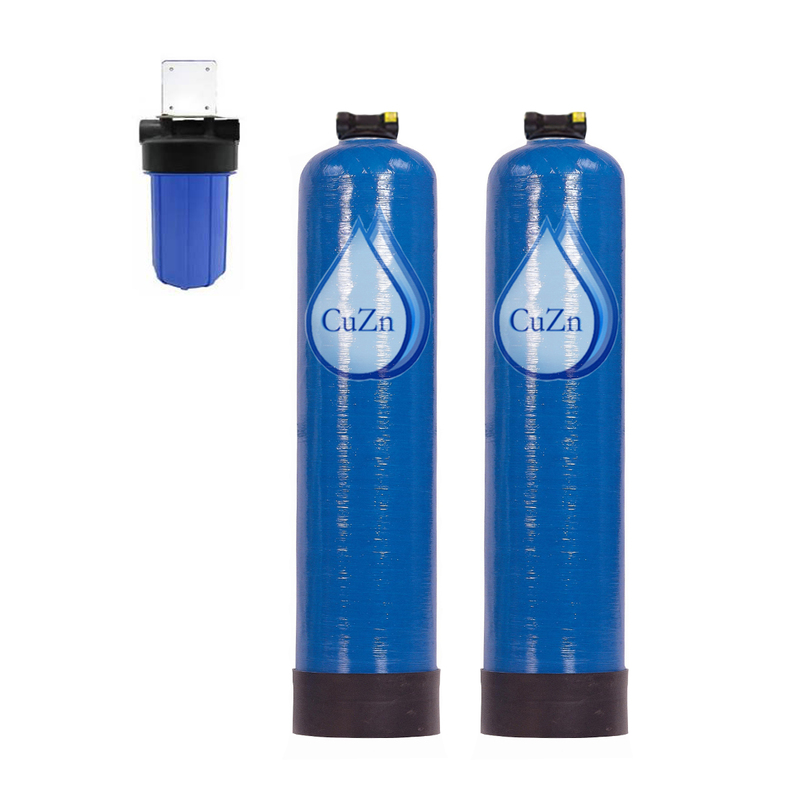 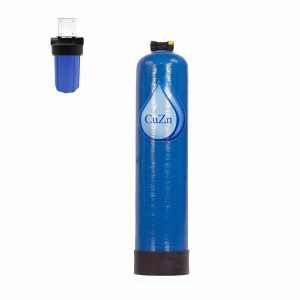 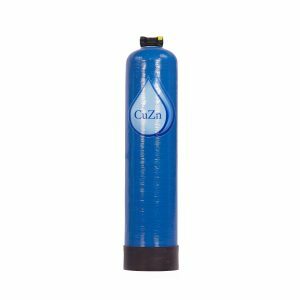 CuZn’s Wide Spectrum + Pro Upgrade Models target a wider variety of potential contaminants than any other Whole House Water Filtration System available today . The WHCC-35-DTF process begins with a Micro Sediment Pre-Filter (model#FHBB-101) to remove any physical, undissolved particles out of the water (even though your water runs clear, you will be amazed by how much dirt & grime this filter captures).